I was incredibly stoked to hear Amy and Jocey wanted to spotlight my studio...now THAT'S a way to start my day off right! 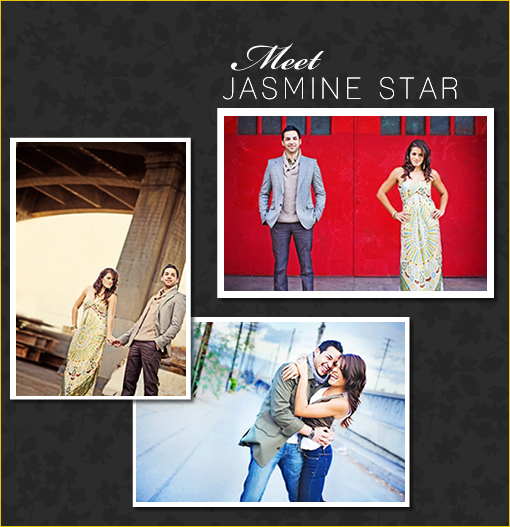 My name is Jasmine Star and I'm an international wedding photographer based in Orange County, California. Various magazine editors have called me a raising starlet in the industry, but you can just call me Jasmine. Or Jaz. Or JStar. Or freckle face. I'll respond to them all! I just finished my second year of wedding photography, completed a national photography tour sponsored by ADOBE and Showit Sites, and I love shooting people. With my camera. I live with my amazing husband and my fabulous dog and, at times, struggle to determine who is my favorite. I love to eat chocolate, run on the beach, and I spend too much time writing on my blog. My goal for 2009 is to take the wedding industry by storm. Or learn how to make pot roast. Whichever comes first. That's a little about me, but that's not what WC is about...it's about YOU...the blog reader! I'm proud to be a preferred vendor and it's my hope the weddings that are featured here act as a small source of inspiration as you create the wedding of your dreams. A special thanks to Amy and Jocey for putting together such an ultra fab blog and providing an amazing source of creativity on the web! We just love these incredibly cute photos of Jasmine and her husband, shot by Amy Wenzel! Jamsine's Dress is pretty freaking cute. Below are a few of Jasmine's favorite weddings from last year. 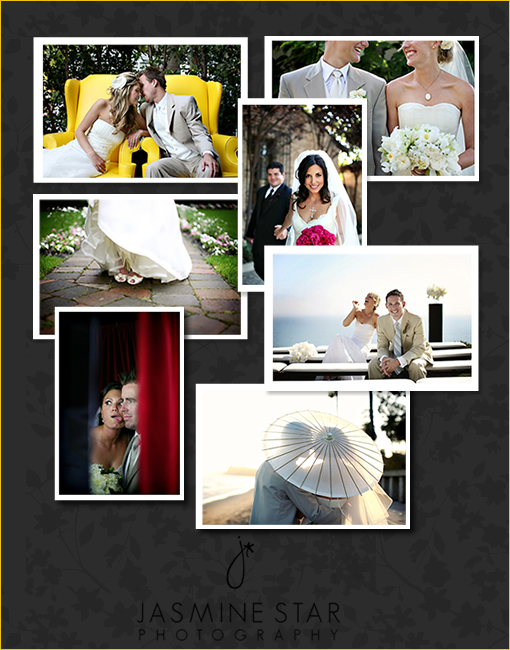 We cannot wait to feature some of Jasmine's '09 weddings. We are preparing ourselves for some definite eye candy.